Position: Interns are expected to participate in the rescue, treatment and rehabilitation of native Maryland wildlife. Participation in our public educational programs is encouraged. Training provided by licensed wildlife specialists shall include capture and restraint, proper handling, stabilization and transport, preliminary physical exam and diagnosis, species specific care and feeding, and state and federal record keeping requirements. Training will also be provided by advisory veterinarians and shall include basic surgical procedures, x-ray techniques and administration of prescribed medications. Interns are expected to work 30-35 hours per week. Internships with a duration of 6 to 16 weeks are available beginning in April 2009. Qualifications: Students enrolled in a degree program in veterinary medicine, animal or wildlife sciences and related studies are given preference. A letter of reference from a professor or administrator and a letter from an advisor in your major area of study are required. Students with a 2.5 grade point average or better will be given priority. We will help interns coordinate internship and independent studies credits with their educational institutions. It is the student’s responsibility to provide contact information and requirements with their application if credits are requested. Non-smokers only. A valid driver’s license and vehicle are required. Rabies pre-exposure inoculations are mandatory. Description: BACK TO THE WILD RESCUE & REHAB INC. is a 501(c)(3) non profit organization . Our mission is to provide assistance to Maryland residents and agencies with wildlife emergencies; to promote the general health and welfare of the citizens of Maryland; and to provide children with educational opportunities to foster a respect for our natural world. 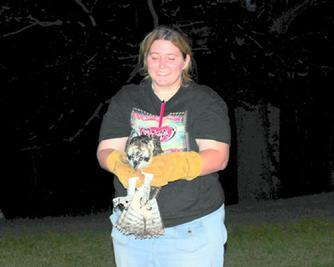 We rescue, rehabilitate and release many native species. However, we specialize in rabies vector species which include raccoon, skunk and fox. 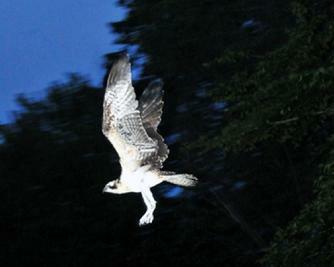 We also work with avian raptor species (hawks, owls, eagles, ospreys, vultures). In addition, we provide educational programs to local schools and organizations. 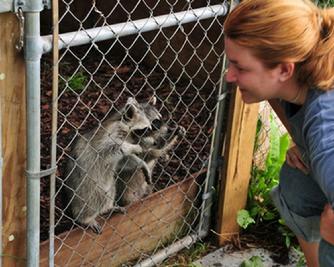 We work closely with several other wildlife rehabilitation facilities and offer interns the opportunity to visit these other facilities, if desired, to gain additional knowledge and expertise with species not rehabilitated at our facility. Compensation: Interns are provided with private living quarters (36’ heated and air conditioned RV with living room, kitchen, shower, toilet, bedroom and plenty of closet space). Food and cable TV provided. Laundry facilities are available on the premises. Interns are expected to maintain their living quarters in a clean and neat fashion. Local attractions include beaches, lakes, golf courses, marinas and many historical sites. Deadline: Application deadlines are 30 days prior to start of internship. Session dates are flexible. Early applicants are given priority. Interview required (phone or in person).